Yes! It’s Monday and Paris is alive! 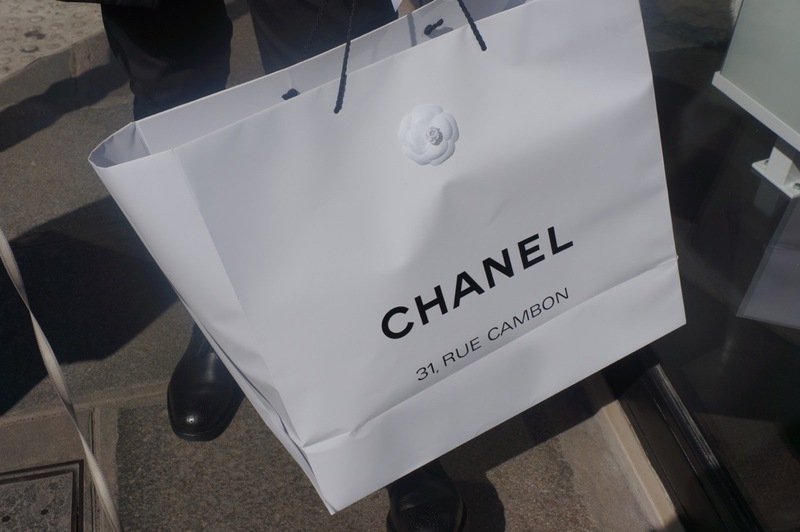 I had so much shopping today… Colette, Celine, Dior and CHANEL! Chanel really got whole Saint Honore! First of all the Re Cambon where Coco got her studio, they got these beautiful runway sandals with black panels on wedge! Beautiful! 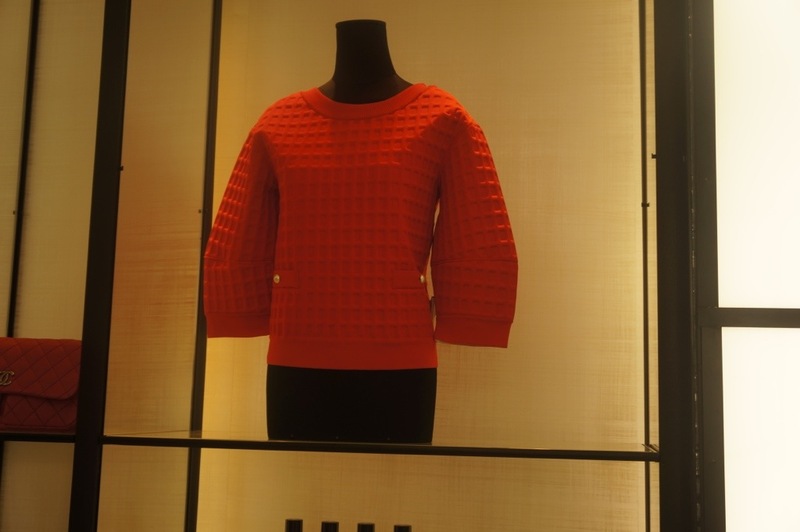 I should say, the clothes are mind blowing- perfectly crafted, amazing colours! The best was the red bubble top! And Lena go them of course! 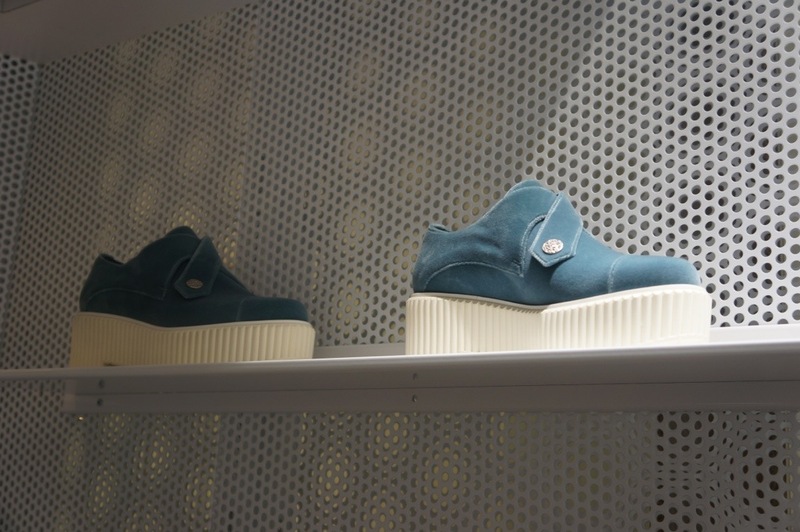 Inspired with Japanese getto sandals, they are mixed with Parisian chic. 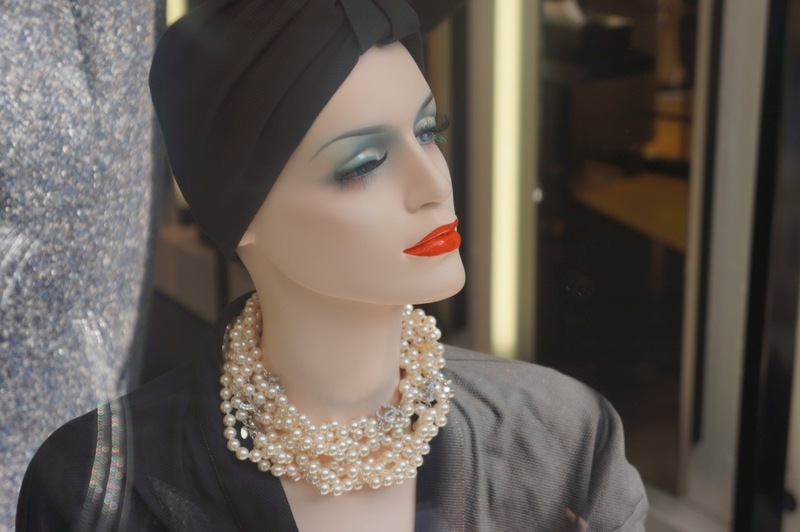 Chanel opened two great pop stores on Saint Honore. 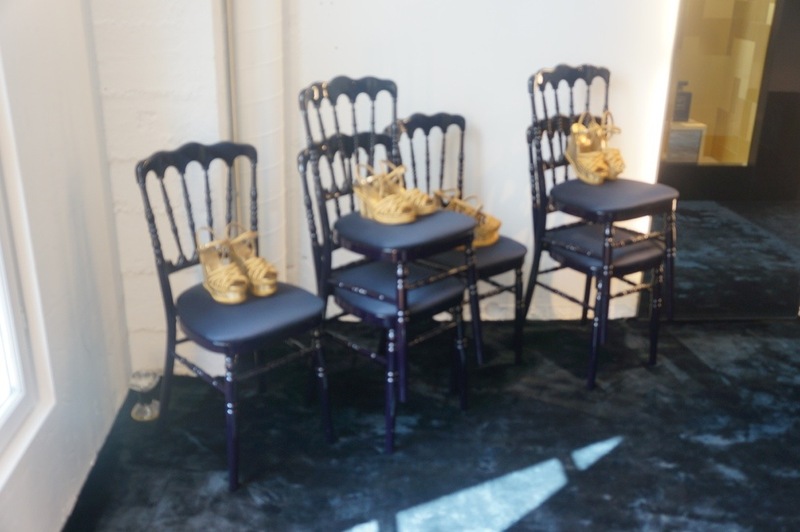 First had only the most exclusive shoes- trainers with hand made black flowers, getto sandals, Resort gold tomboys and beautiful heels. It was quite minimalistic full of gold and black. 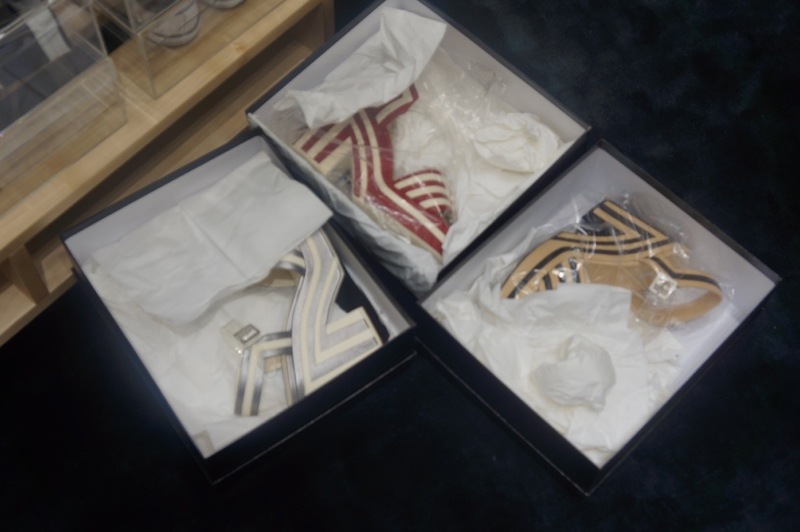 But the best where the glass boxes that were privte wardrobes for shoes! And inside? More boxes of shoes! 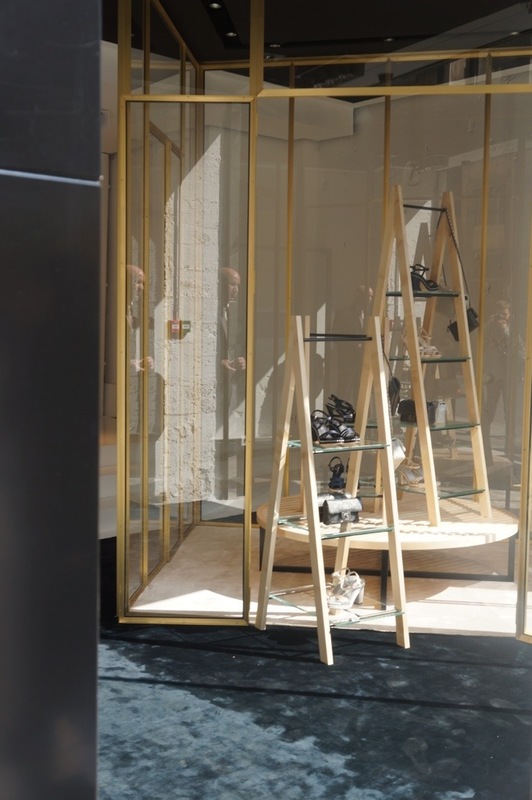 The second pop up was connected to cosmetics- the latest make ups and creams by Dior. 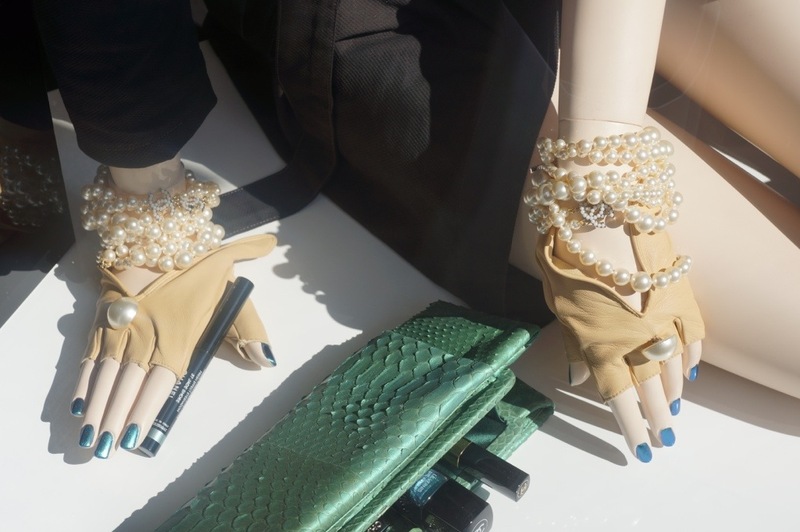 There were some exclusives that are only available in this shop- but the best was the window of the shop! 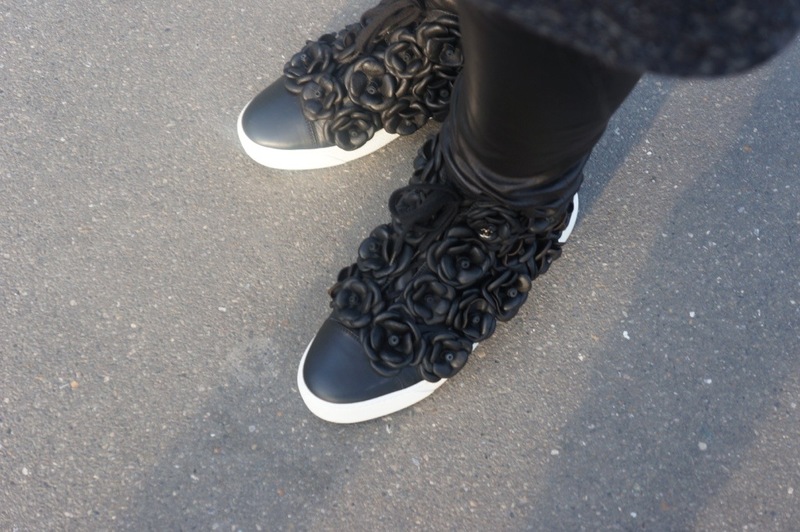 And the buy from Chanel number two- sneakers from black leather with hand made flowers! Okay that’s it. You need to take me shopping!